PARK(ing) Day is an international annual event in which activists and citizens transform metered parking spaces into temporary public parks and other social spaces. PARK(ing) Day was invented in 2005 by Rebar, a San Francisco-based art and design studio, to encourage people to rethink the way streets are used. 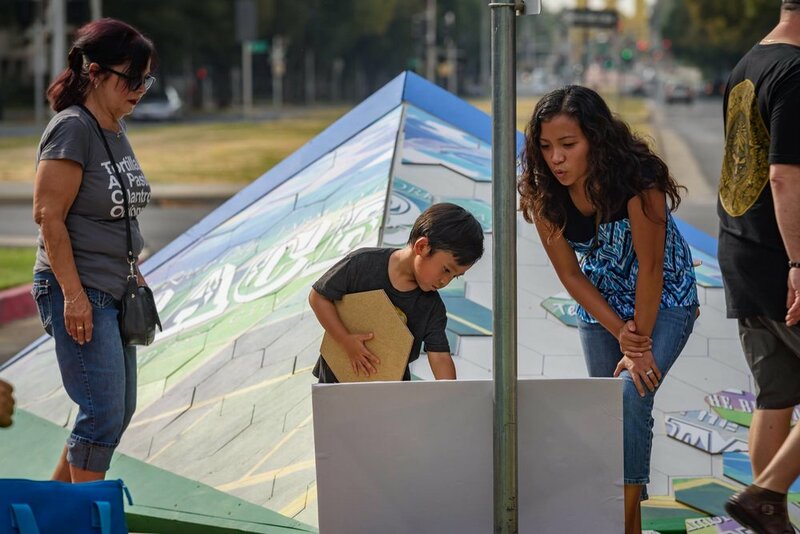 Since then, PARK(ing) Day has grown into an international event taking place in over 160 cities on 6 continents. 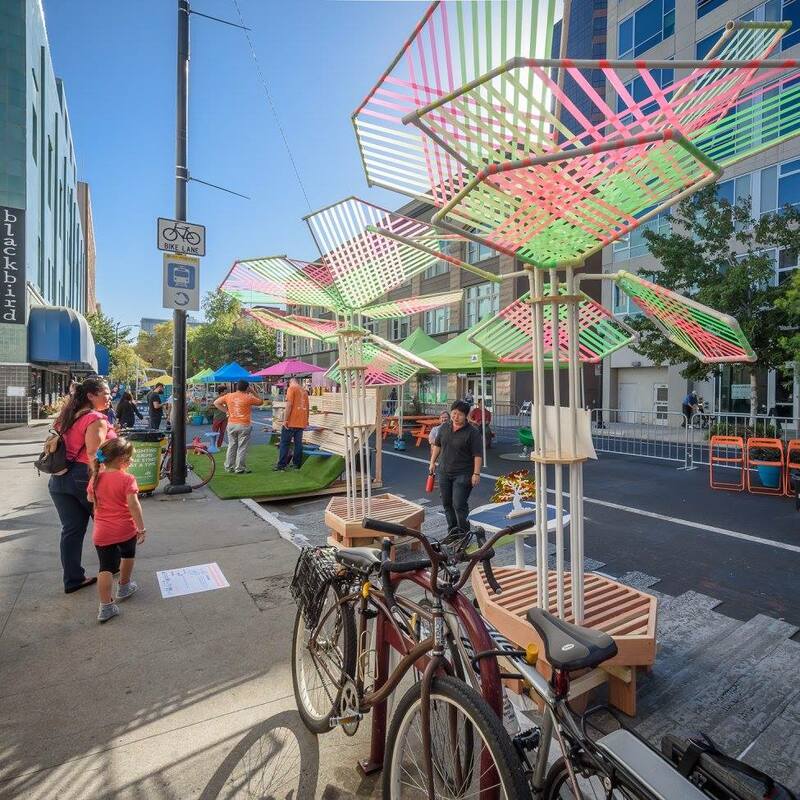 Over the years, the ASLA California Sierra Chapter has organized a multidisciplinary event with allied professions to showcase a broad vision of how to re-imagine Sacramento’s streets, expose the general public to parklets, and encourage local policy makers to improve current parklet standards. 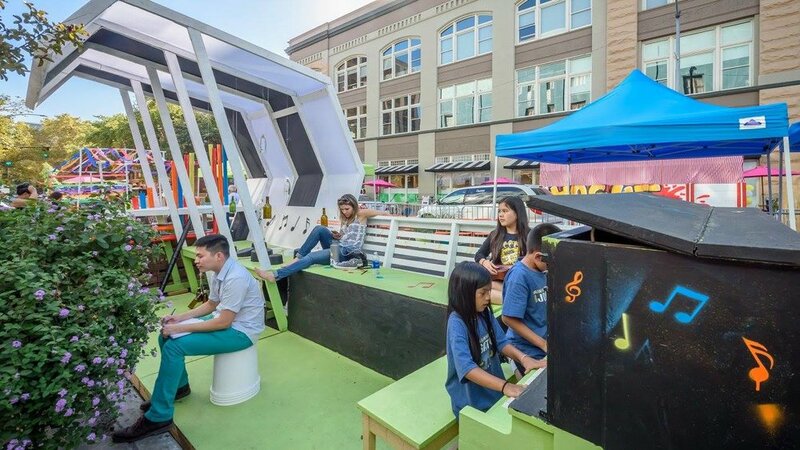 CONGRATULATIONS TO DLR GROUP, PEOPLE CHOICE WINNER FOR PARK(ING) DAY 2018! Interested in participating in PARK(ing) Day 2018? See below Entry Form and Information Packet. Entry Forms are due by Friday, August 24, 2018.